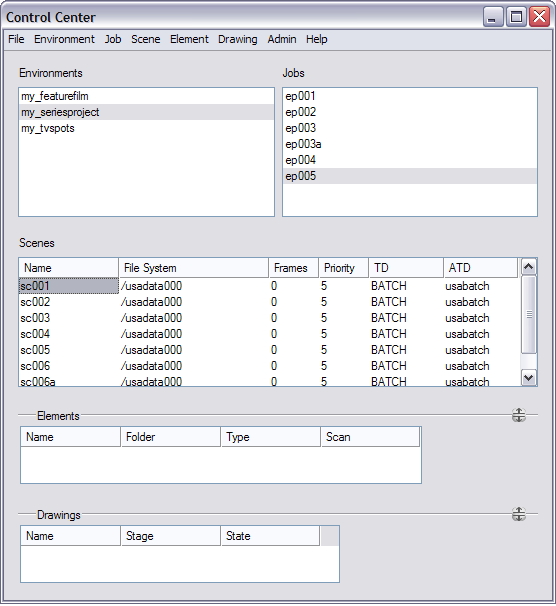 To manage a production, you will need the Control Center module. The Control Center is used to create new environments, jobs, scenes and users as well as to import and export scene packages. The Control Center directly manages your server database and is the only place you can create scenes in your database. You can launch the Control Center from the server or any client machine. Do not delete the usabatch username. It is used by Toon Boom Harmony Server for the batch processing task. Select Start > All Programs > Toon Boom Harmony 10.0 > Control Center. Select Finder > Applications > Toon Boom Harmony 10.0 > Control Center. You can also select Applications > ToonBoom-Harmony_10.0 > Control Center. 2. 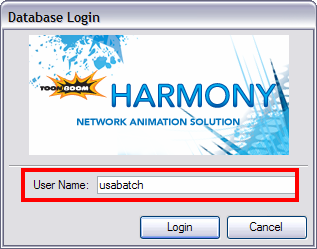 In the User Name field, type usabatch, this is the default Harmony user.